Visual Golf 9 © 2008 Visual Sports Systems. 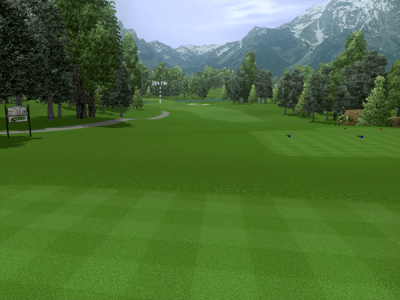 In Visual Golf 9 you can play 18 holes of golf on famous courses from around the world, or compete in Long-Drive, Closest-to-the-Pin, Match Play, Skins and more than 16 other contests and competitions against other golfers. A target-based driving range, and a chipping and putting area also allow you to focus on specific situations and distances that require practice and work. Your Visual Golf 9 player profile keeps track of critical shot data including: ball speed, shot direction, launch angle, spin rates and scores.